The table is set; therefore let us keep the feast. Humble perhaps by many standards, but no lest festive than all the others. A month ago today David suffered a stroke. Thankfully it was a very tiny one. Still for a young man, age 31, it was a shock, both literally and figuratively. We were the beneficiaries of a host of prayers, good thoughts, and benevolent vibes of all sorts . A short month later, we are here, together as a family to celebrate Thanksgiving. For Christian folk, Thanksgiving is not only a holiday but a way of life. The Eucharist is a word that means "Thanksgiving". The word, however is a verb, not a noun, for it is in the doing of gratitude that we find life's joy and abundance. We celebrate the Eucharist at our birth at Baptism, at our Marriages, at times of illness, and of course at the ultimate moment of life when we enter the Blessed rest of Eternal Life. In the meantime, Sunday after Sunday and at all major Feast Days, we mark the seasons with this kind of gratitude. It is a gratitude that expresses our Love for God by expressing our love for one another. It is no gratitude at all unless it is marked by a quest for Justice through which we strive for Peace. Today, no less than all days we said our prayers. David said the "Grace" today. He recited with us gathered at our Table the ancient words of the General Thanksgiving that comes from the Prayer Book Tradition. It seemed especially appropriate that we say this prayer today. It is one of David's favorite. It is among mine as well. We got to the word "preservation" before the voices broke and the tears fell, broken voices and tears of the profoundest gratitude we are capable of. May God grant us so to live with gratitude that God's joy may be in us, and that God's joy may be complete. Of all the blasphemies I can possibly think of, the idea of Black Friday and Walmart stands highest and at the top of the list! A little Child is born in Bethlehem, homeless of an unwed mother, poor, cold, and destined to die for the poor and those left out in the cold. Walmart opens early for a shopping frenzy of expensive foreign made trinkets for our children. Americans stand unemployed, homes lost, and left out in the cold. And the rich count their billions and roll around in their greed snorting satisfaction. For many of us who are unemployed, without health insurance, and having lost our homes, a boycott of Walmart will be an easy thing. Millions of us already stay away. But what if we Occupy Walmart on Black Friday? What if we block the doorways? Pepper sprayed victims from across the country cry out for justice. The Machine is grinding us and moves against our cry for jobs at decent wages. We'll never get good jobs from Walmart. We will never get decent wages at Walmart. We will never get health insurance from Walmart. 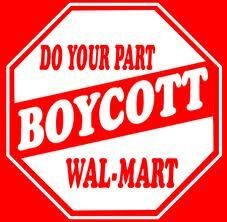 Boycott Walmart this Black Friday. Send a message they will feel in their pocket books. Millions more are beginning to hear your cries for justice. This is the Peace that passes understanding...Justice! It is a funny thing about the Goodness of God. I discovered it only in the wake of my dad's death at Christmas when I was a boy. It flooded in again in the wake of my son, David's stroke in October. He's coming home Tuesday after an amazing recovery. There is much reality still to be dealt with, but there is this extraordinary thing called the Goodness of God. I brought Communion to a Charlie today. He's a 20 something and has a pretty rugged go of it with Cancer. Still there is this thing called the Goodness of God. I cannot shake the idea. I suggested the idea of the Practice of the Presence of God. I believe in it with all my heart. Plumbing the depths of my own heart, searching fearlessly for the Truth deep within I discover the Companionship of God. This gives me the courage to Love the God within, myself and all others I treasure. This I suggested to Charlie. 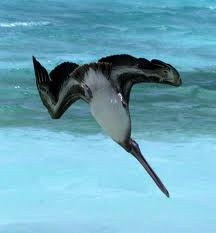 I've often watched the Pelican dive into the sea when I visited the Gulf of Mexico years and years ago. I love watching such a feat. Up s/he comes with a fish! What magnificence is life! And so dad, I still remember you, even though you died so many years ago. It was your death that led me to priesthood. Coming up on 39 years now, countless souls blessed, baptized, married, and carried off to God. How good You are to tend my dad and all these good souls. You are so good to look after David. That could have gone another way. There's still a very long way to go before a full recovery, but this looks so good. Thanks too for Charlie. He could use a miracle too right about now. He's learning to spend some time with you and this is a very good thing. In then end that's all of us have; thanks for being there for my dad, my son and for Charlie. The problem of Good is as real as the problem of Evil. The first extant document we have of the early church is "The Didache" or "The Teachings". In it is the notion that the pathway to Death and the pathway to Life are always before us. This is true at every level of life it seems to me, personal social and historical. To be sure, large institutions like Nations and Churches have merits. But they also have stains that blot out any hope of seeing redemptive value in what they are. But there is this thought. If we say we believe in Democracy, then of necessity we must have politicians and government. 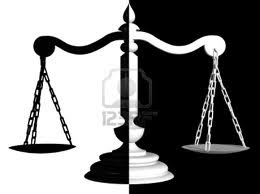 If we say we believe in Justice, it follows then, that lawyers and courts become an inevitable necessity. And if we say we believe in God, then clergy and churches become yet another inevitability. Seen from this view, there is plenty of sin to go around. But there is also beaucoup redemption. The fundamental question for us is which will we choose; the pathway that leads to life or the pathway that leads to death. A ponderous question for each of us to ponder because I believe God is calling each of us to step up to the plate. Apathy only guarantees that someone worse than ourselves will take power. 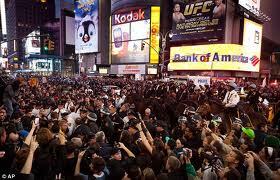 From Oakland to New York and around America, the crackdown has begun. Democracy; government of the people, for the people and by the people has been successfully claimed by government of the rich, for the rich and by the rich. Had this happened in Tiananmen Square, Cairo, Libya, or Syria, we would be hearing loud and sanctimonious words decrying gross abuses of "Human Rights"! Not so when it happens in our own back yard. Thankfully, this will only serve to spur on the demonstrations. American are waking from slumber. It is now clear that the police are merely acting at the behest of the Plutocrats who pull the economic purse strings. What threatens them is the idea that we want a bail out too. Except we’re willing to work for it. They just wanted the money to dress their portfolios. They are robbing us of our money, our jobs, and our homes, and we want them all back. Of course, the righteous wonder when they did these things to Jesus. And of course the answer is; "Insofar as you have done it to one of the lease of these, you have done it to me." The goats are then driven away into a place of weeping and gnashing of teeth, because when they saw human suffering, they turned away, did nothing, and treated the “least of these” shamefully. The question I have is this; Is America in danger of failure as a civilization? If we insist on turning our backs away from the least of these, we incur the wrath of Jesus and the long arc of history will bend toward another civilization willing to treat her poor in a kinder and gentler way. In the meantime, I have news for Mayor Bloomberg and his minions around the country. We are not going away. We will be back in the streets, today, tomorrow and the next day. Take heart my fellow Occupiers; back to the streets!!! We want jobs! We want justice! I so admire the courage of these people! Notice how Jesus comes to us in the faces of the young and old of an obscure village in the Middle East long ago or in Alaska as recently as today. If we want to think about Jesus coming in the latter day, and at the end times, lets notice how Jesus is here right at this very moment. This is because the end times are always here and now! I do hope you have noticed that with the coming and going of one civilization after another, one constant is the command of Jesus; "Love on another". The purpose of Advent and Christmas is not just to tell an ancient story of a faraway land. This Jesus is our story today, and the job of a people who know how to embrace winter with relish and abandon is the story of the amazing grace of humankind. We are all kinds of people of all kinds of orientation, gender, class, race, ethnicity. Some day we will learn what Jesus has taught all along; "Love one another". And remember God loves you and so do I. Poor folks, gay folks, illegal aliens all seem to catch it from the far Right Wing Evangelical/Republican alliance. One wonders if they've read much scripture. As we see in this passage, so we see in history; its not the poor, the gay or the illegal alien who is our problem; it is the rich, the super rich, and the multi-national corporations. When a nation becomes an oligarchy of the rich, the few crumbs that are spent on those in need are not the problem. It is the greed that concentrates wealth in the hands of the few that is always the undoing of a civilization. When they take away our jobs, our homes and our health care, they incite the public to rise up. It is happening right before our eyes. The People Flex Their Muscle! Your voice has been heard. You have flexed your muscle. The Bank of America and Netflix have reversed their decisions on price gouging. Now press on! Bank of America, give us back our jobs. 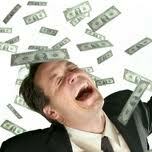 You are making money hand over fist. You laid off thousands. Hire every one back. Now that you have flexed your muscle and know that you have the power to influence and persuade power and money...press on. The movement is gathering steam. Not until we achieve full employment at a fair wage with health insurance for all...not until then will we return from the streets. The power belongs to the people. We will not rest until justice flows like a mighty stream from the mountain of God!